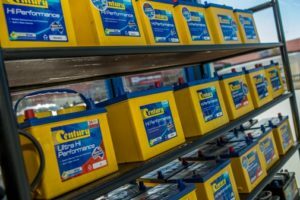 We carry a large range of batteries to suit all sorts of vehicles. We can test your vehicle’s charging system and battery on the spot and if required, change your battery while you wait. Our prices are more than competitive and we only use the best quality brands like Century and Federal with Nationwide Warranty.